Preheat oven to 220°C (425°F). Heat the oil in a large non-stick frying pan over high heat. Add the chorizo and cook, turning, for 2–3 minutes or until golden brown. Remove from the pan and place in a large roasting tray. Add the eschalot, garlic, rosemary and oregano to the frying pan and cook for 3–4 minutes or until caramelised. Add the sherry, sprinkle with salt and pepper and cook for 1 minute or until reduced slightly. 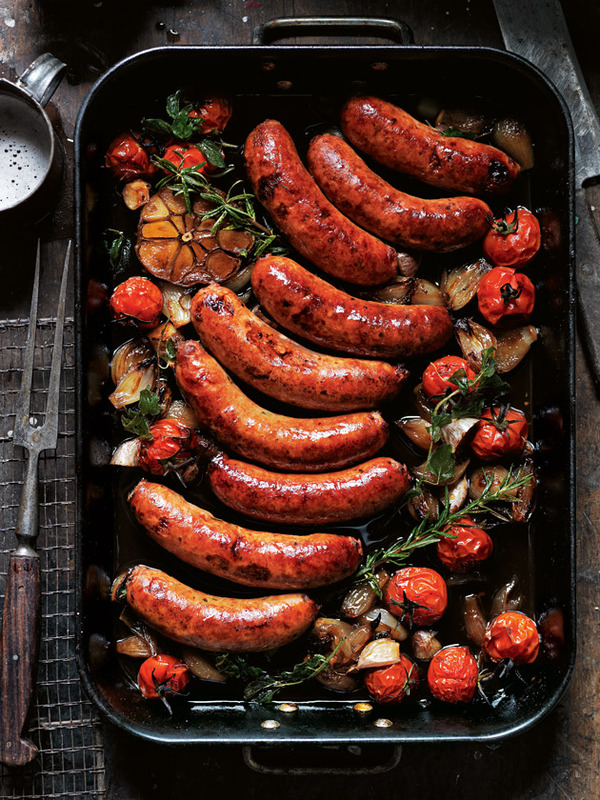 Transfer the mixture to the roasting tray, add the tomatoes and place in the oven to cook for 30–35 minutes or until the chorizo is dark and caramelised. Serves 4–6. + Pedro Ximénez is an intensely sweet, dark sherry from liquor stores.